Be forewarned: while this Sticky Note Review doesn’t contain spoilers, it does mention the tone of the ending. In the Afterlight is the third book in The Darkest Minds series by Alexandra Bracken. It follows The Darkest Minds and Never Fade. 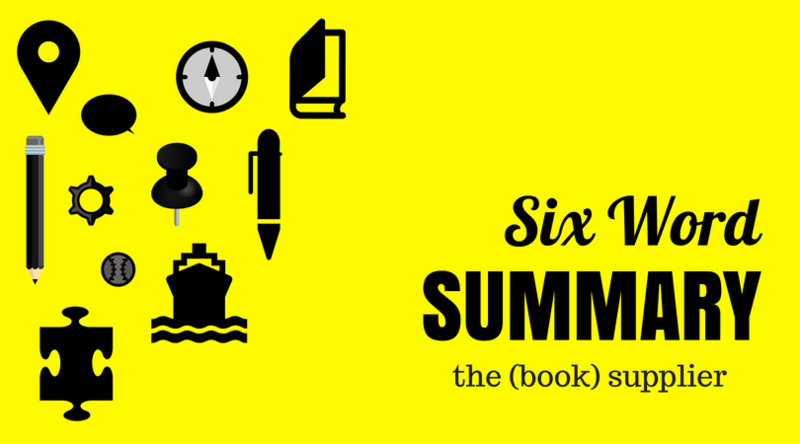 Six Word Summary: Powered teens fight government for survival. 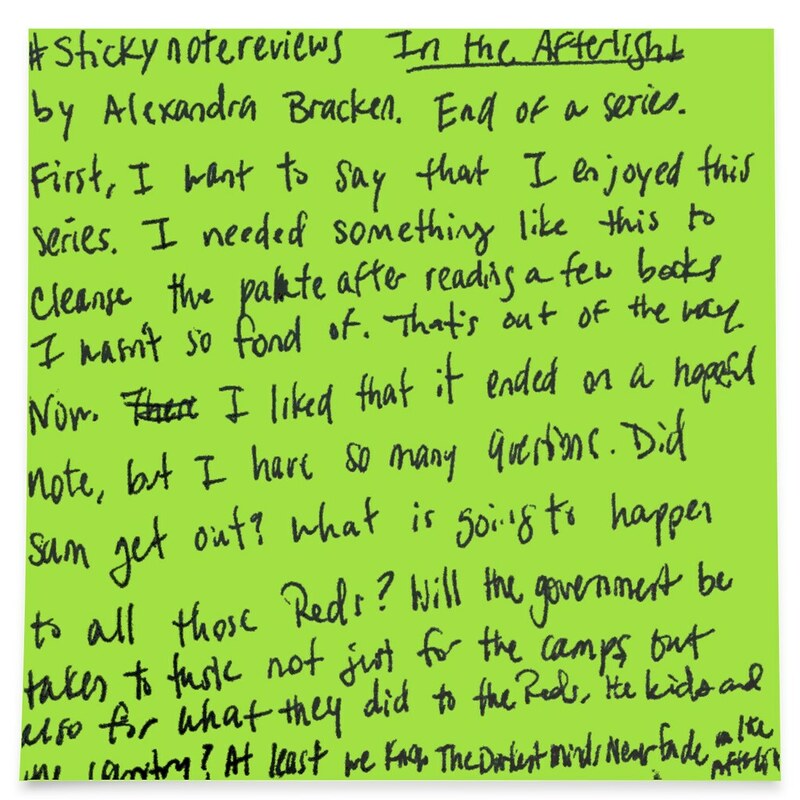 #stickynotereviews In the Afterlight by Alexandra Bracken. End of a series. First, I want to say that I enjoyed this series. I needed something like this to cleanse the palate after reading a few books I wasn’t so fond of. That’s out of the way. Now. I liked that it ended on a hopeful note, but I have so many questions. Did Sam get out? What is going to happen to all those Reds? Will the government be taken to task not just for the camps, but also for what they did to the Reds, the kids, and the country? At least we know that the darkest minds never fade in the afterlight.